MBG PressLock is the perfect solution for mezzanine decking, pallet rack decking and shelving for the material handling market. Within the manufacturing process, MBG PressLock grating offers flexibility to the end user based on the spacing and load requirements. Bar spacings are available in increments of 7/16" in either direction making it ideal for standard flooring applications as well as a multitude of architectural applications such as building facades, ADA walkways, fencing, sun screens, security barriers and handrail infill panels. The product is available in carbon steel and can be provided with various finishes including mill, galvanized and/or powder coated. As a bar grating manufacturer since 1970, Ohio Gratings, Inc. has made just one top quality product... bar grating. This single focus has allowed us to gain the expertise and respect that has defined us as a market leader in the aluminum and steel bar grating market. The company was founded with the motto "Make It Right and Ship When Promised." This philosophy has allowed us to expand successfully over the years. The company began as a light duty steel bar grating fabricator and expanded into the manufacturing of heavy duty welded steel and stainless steel grating. That early success, led to other expansions including the bar grating manufacturing of aluminum swaged and dovetail bar grating. A few years later we added aluminum plank to our line of flooring products and then finally fiberglass to round out our bar grating manufacturing product offering. 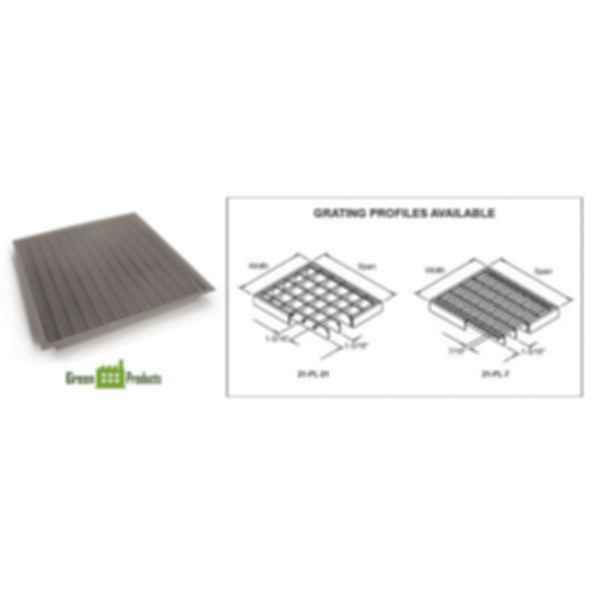 With these products Ohio Gratings, Inc. has participated in all facets of the grating industry: design commentary, engineering, fabrication and distribution. Playing an integral role in our ability to furnish exceptional and reliable service and a quality product at a competitive price is an incentive management system characterized by an employee-shared profit structure. Our experience has gained us the expertise to offer extensive design and custom fabrication services. Traditionally, Ohio Gratings, Inc. offered products suitable for the industrial and environmental markets, such as water and waste water treatment, power generation plants, heavy duty bridge decking, etc. In the past several years, OGi has branched out and started a division called OGi Architectural Metal Solutions to cater to the architectural needs of our customers. We now have the ability to offer our products for green applications including grilles and screens, louvers, fencing, sunshades, ADA walkways, handrail infill and more. More Products from Ohio Grating Inc.